Very rarely does the chance come up to build an entirely new district from scratch in London but that’s exactly what is being proposed for Old Oak Common, just north of Wormwood Scrubs. 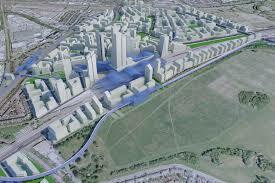 Here we outline the Old Oak Common development plans. Until recently Old Oak Common was a much-neglected corner of northwest London. Mainly composed of a hotchpotch of railway lines, freight yards and abandoned industrial plots it also contains some of the most socially deprived communities in England. Yet this unloved area is just three miles from Oxford Circus and it represents a massive regeneration opportunity for central and local government over the next few decades. Old Oak Common contains huge swathes of brown field land ripe for development. And its position at the confluence of railway lines means it is set to become a major transport hub for people travelling in and out of London. Not only has the Department for Transport committed to building a Crossrail interchange here but Old Oak is also earmarked as a station on the High Speed 2 (HS2) high-speed line from London to Birmingham if plans are approved by Parliament. And that’s just the start; there is also the potential for links to the Great Western Mainline, North London and West London lines, West Coast Mainline, Heathrow Express and Bakerloo London Underground line. A vast HS2 and Crossrail station is due to be constructed at Old Oak Common by 2026. The new station would be the size of Waterloo, handling 250,000 passengers a day and acting as a super hub between London and the rest of the UK. Old Oak common also sits next to Park Royal, one of the largest business parks in Europe. 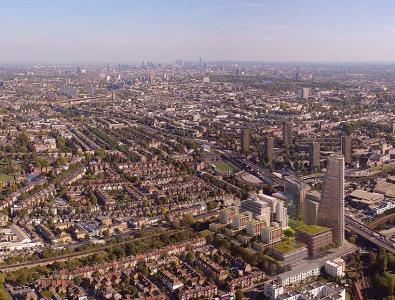 The proposed redevelopment of the area, overseen by the Old Oak Common and Park Royal Development Corporation set up by the Mayor of London, will create a whole new ‘super-suburb’ of 950 hectares with around 25,000 new homes, offices, shops, amenities and over 55,000 new jobs. According to London Mayor Boris Johnson, the development will deliver a £15bn boost to London’s economy over 30 years. 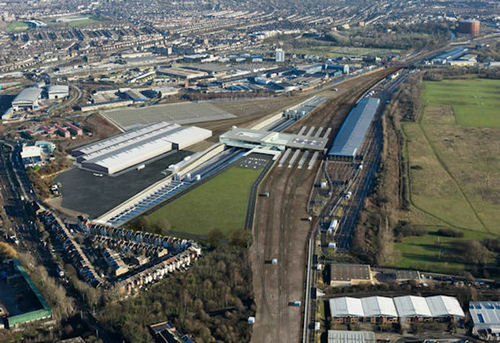 What are the current plans for Old Oak Common? There are a few proposals in play. The most detailed of these is Old Oak Park, an ambitious £5 billion regeneration project led by Cargiant and London & Regional Properties. The 46-acre plot currently home to Cargiant is the largest privately owned site in the area and the proposal aims to deliver up to 7,000 new homes as well as new schools, health centres, a new London Overground station called Hythe Road and a new canal-side environment, opening up the Grand Union canal to residents with cafes, restaurants and parks. The second proposal is from Queens Park Rangers (QPR) who want to build a new 40,000-seat stadium in the heart of the area, moving nearer to its original roots. The development will also include shops, homes and offices. 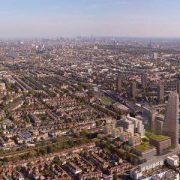 QPR is working with Stadium Capital Developments (SCD), the company behind the regeneration of the Emirates Stadium, which delivered 3,500 new homes and hundreds of new jobs in Islington. The latest proposal was announced recently by David Cameron who said that Old Oak Common will be one of the locations for the 200,000 starter homes to be offered across the country to first-time buyers at a minimum of 20% discount. We will keep you updated with developments as they happen over the next few years.